What is Pass Plus – What Are The Benefits? 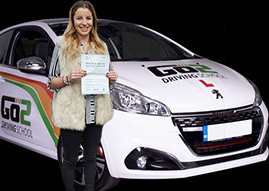 Pass plus is a voluntary scheme that benefits newly qualified drivers. In particular, reduced insurance premiums will be available at participating insurers. Insurers benefit from having more skilful drivers, who will make fewer claims. The general public will also benefit from having safer roads. Newly qualified drivers are so much more vulnerable than they realise. Statistics show that new drivers are much more likely to be involved in an accident within their first two years of driving than at any other time in their driving career. Two young people under 25 die every day in crashes in Great Britain. In their first year of driving, one driver in five is involved in a crash. Gain quality driving experience safely. Develop a positive driving style which is both enjoyable and safe. NOTE: Learner drivers are not allowed to drive on a motorway on driving lessons until they have passed their driving tests and while many life skills are learned by trial and error, the consequences of error on the road may be catastrophic. The course consists of a detailed, structured syllabus and requires commitment from both pupil and driving instructor. We aim to make your experience dynamic, effective and rewarding. There is no test at the end as you’ll be assessed throughout by your chosen driving school. Only suitably graded driving instructors who have enrolled with the DVSA to teach pass plus are allowed to deliver the training. Upon enrolling on the course you’ll be given a 40-page handbook in which you’ll need to refer to during the course and has a section that allows you to make any notes along the way. Note: It may be impossible to carry out particular modules due to your location or the time of year in which you decide to enroll on the course. If this is the case the particular module may be carried out in a theory session. There is no time limit for completing the course and upon completion, you’ll be sent a certificate from the DVSA – keep this safe as you may need to present it to your insurer to receive a discount. A 6-hour pass plus course costs £230. To book, please call us on 01332 492 302.